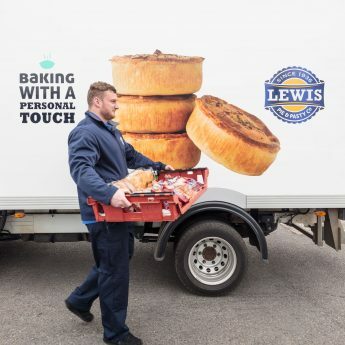 We export products from our traditional Lewis Pies brand and from our newer Halal ranges to customers across Europe and the Middle East. Our export customers like the fact that we’re a family firm, with five members of the Lewis family actively involved in the company today. We use our 80 years of baking experience in producing traditional British pies, pasties, slices and other savoury bakes to provide an exceptional offer for the export market. We can produce custom flavours and bakes to suit your needs and offer white label production which means you can have your own branded goods. Whether you’re after premium products, standard products, something traditional or something new, we can produce what you need. Halal production is approved by either Halal Monitoring Committee or Halal Authority Board in UK, so you can sure your products use the right ingredients, are made, packed and stored appropriately. All export products are delivered frozen using our experienced courier service so they arrive in perfect condition. 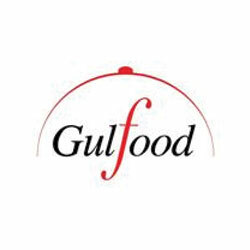 We like to get out and meet potential customers so regularly attend exporter events, the most recent being the Gulfood event in Dubai in February/March 2017. We will also be attending the BlasCymru/TasteWales international food and drink trade event and conference in Celtic Manor, Newport, on 23 and 24 March 2017. This event is bringing together producers, buyers and food industry professionals from UK and overseas to network and do business. Planning to be there? Then come along and see us and meet our Sales Manager, Shaun Clarke. We value our customers and work hard to ensure that we deliver what they want, when they want it and at prices that offer great margins. All our customers are offered the same high level of service and support whoever they are and wherever they are based. 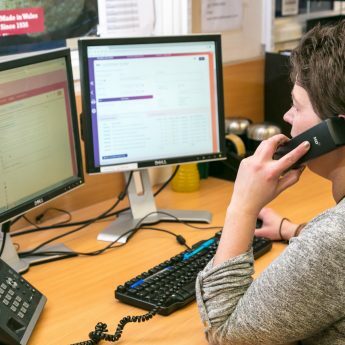 When starting to supply any new customer, we take extra time and care, at the outset and in the first few months, to ensure we get things right. We will take you step by step through the process for ordering and how and when we will deliver to you. If you want to receive a regular call from your account lead, then that can be set up at a time to suit you. Every business is different, so we would discuss with you the payment terms we can offer and agree what is most appropriate for you.